Gina hosted Carmen Sandiego Day in Miami. She was so adorable with all the Carmen kid fans. I’ve added photos to the gallery. Enjoy! 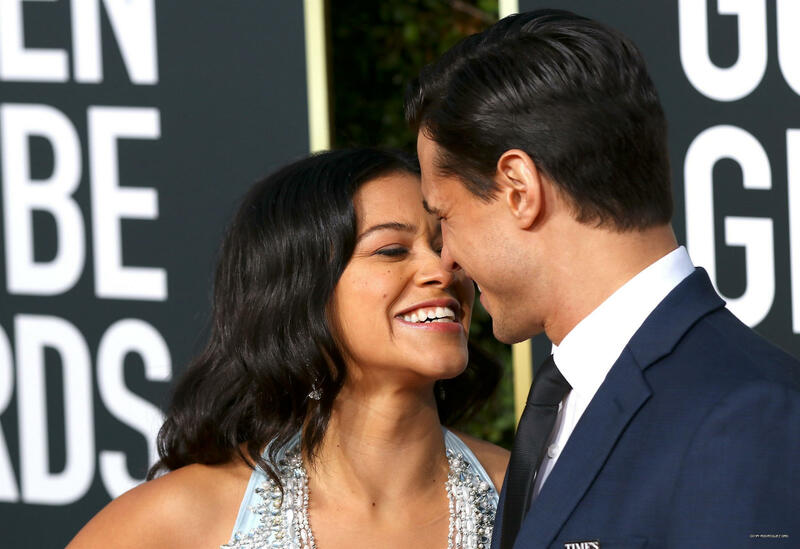 Gina was in attendance at the 2019 Golden Globe Awards last night. She looked so beautiful. I’ve added hundreds of photos from the event so check them out in the gallery. I want to thank my amazing friends, Maria, Claudia, Victoria, Kayla, for their donations and help as I have been recovering from pain and haven’t been able to come on much. Enjoy! With its January 18th release date fast approaching, Netflix is finally giving audiences their first glimpse at the new iteration of master thief, Carmen Sandiego. 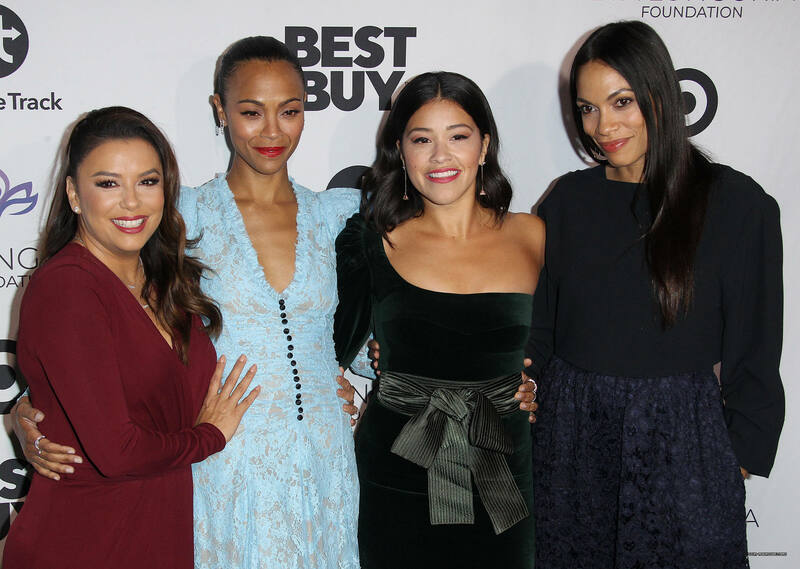 The animated series, set to star the voice of Gina Rodriguez as the titular master criminal, is the first of a franchise being built around the character, with Rodriguez also set to appear in a live-action movie. And based on this initial trailer, Carmen Sandiego looks to take ’90s nostalgia and infuse it with some Alias-level skill. The first poster for the series gave us an early look at the animation style, which appears to be a blend of anime and standard 2-D. A lot of clean lines and bright colors dominate as we meet Carmen, a thief trained in a legendary crime school by the nefarious group V.I.L.E. But when Carmen discovers V.I.L.E.’s evil intentions she transitions into being a “thief who steals from other thieves.” We watch Carmen, along with her partner-in-crime, Player (voiced by Stranger Things’ Finn Wolfhard), as she takes on a Robin Hood persona of stealing from the evil to benefit mankind. There’s plenty of suspense and adventure, along with several shots of Carmen’s amazing red mane blowing in the breeze. Audiences will also get to hear a bit of the new Carmen Sandiego theme song! Compared to the ’90s iteration of Carmen Sandiego, which was more an adventure of the week deal, this appears to have a very clear plot drawn from the likes of James Bond and the aforementioned Alias. Carmen isn’t a one-dimensional villain but a woman with a mysterious past; I mean, she’d have to be in order to want to be train in thievery, right? Her use of gadgets and gizmos – all hidden in her big red coat – looks amazing, and Rodriguez’s voice is just distinct enough for audiences, yet isn’t distracting enough to overpower the character. It’s gonna be great to see Carmen Sandiego given a polish for 2019!